Selina is a specialist in contemporary art with over 10 years of professional experiences both in Asia and Europe. She is currently Director of CoBo, Asia&#039;s first Community platform for collectors that advocates the enrichment of the art ecosystem in Asia. She is also Editor-in-Chief of CoBo Social, an online media outlet focuses on Asian Contemporary Art. Before launching CoBo in 2016, Selina was stationed in Paris and Brussels between 2004 – 2014, she has a network traversing the Chinese, Asian and Western art world. She founded initiArt Magazine and S.initiatives - Curatorial and Art Consultancy in 2011. 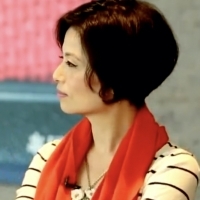 Selina was Editor-in-Chief of Whitewall China in 2014 - 2015. Selina has published extensively on her research projects as well as on general issues regarding contemporary art and culture.